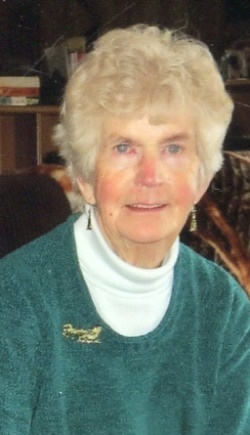 Obituary for Lorraine M (Powers) Charland | Boucher Funeral Home, Inc.
Lorraine M. (Powers) Charland, 85, of Gardner, died peacefully Saturday, February 2, 2019 in Wachusett Manor Nursing Home of Gardner, following a long illness. Lorraine leaves her daughter, Lynn Morin of Rindge, NH; daughter-in-law, Laura Lawrence and her husband Mike of Templeton; sister, Rita Niall of Gardner; grandchildren, Andy Morin and his wife Darcy, and Shannon Charland; great-grandchildren, Amberlynn, Alexis and McKenzie Morin; several nieces, nephews and cousins. She was predeceased by her husband John Charland, who died in 2007; sons, Steven and Mark Charland; brothers, Francis and William Powers; sister, Theresa Desmond; and son-in-law, Lawrence Morin. Funeral Services will be held Thursday, February 7th from the Boucher Funeral Home, Inc., 110 Nichols Street, Gardner with a Mass at 11:00 a.m. in Annunciation Parish/Our Lady of the Holy Rosary Church, 135 Nichols Street, Gardner. Burial will be in St. John’s Cemetery, Gardner at a later date. Calling hours will be held Wednesday, February 6th from 4:00 p.m. to 6:00 p.m. in the funeral home.